Trench Gun, WW1, c. 1915 from the Dalton family collection. With the expectation of serving at Gallipoli the Australian Mining Corps was formed in Australia in 1915 and included three Tunnelling Companies (a company = approx. 220 men). Over the next three years 292 men from the Newcastle/ Hunter region enlisted in these companies including 136 coal miners. 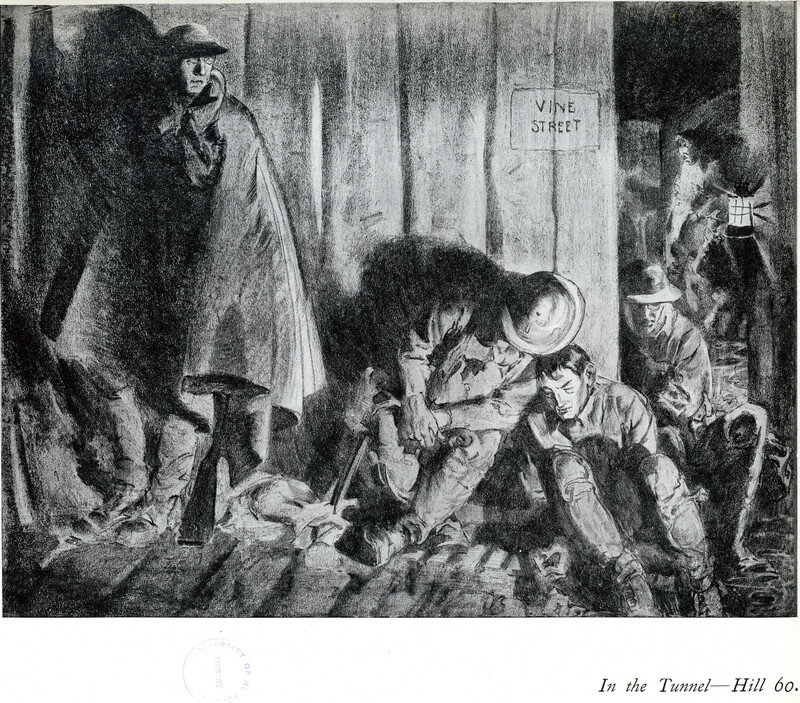 However, in 1916 when the AIF began fighting in France, mining and tunneling had become a tactical and complex strategy within the protracted stalemate of the Western Front. Deadly new weapons such as modern artillery, the machine gun and toxic gas meant the safest way to move and house soldiers was underneath the surface of the battlefields. In the Tunnel - Hill 60. From Australia at war : a winter record by Will Dyson, held by the University of Newcastle, Cultural Collections. Most of the mines had to be dug by hand; the clay was generally excavated, using a technique called “clay kicking” by one man, then it would be shoveled into sandbags and passed out of the tunnel through a chain of men (coal miners were found to be very adept with this method). 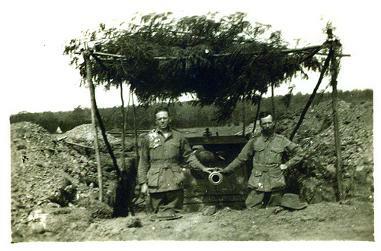 Any available excavating machinery proved difficult to transport and assemble under bombardment, was unable to operate effectively in the gluey clay conditions and much too noisy. Any sound could alert the enemy and consequently they would retaliate by raiding and capturing the mine or quietly counter-mining close by and exploding a charge that would collapse the tunnel killing all those trapped under the earth and debris unless they were promptly dug out. 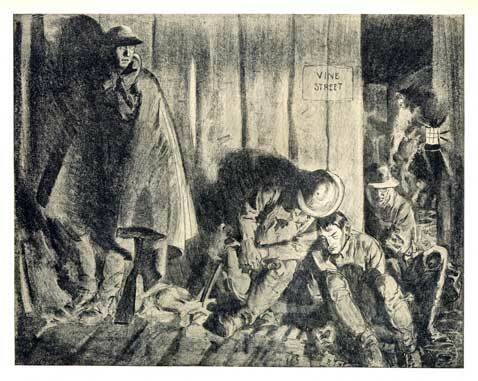 The work was tiring and tense because the tunnellers rarely knew whether or not the other side were aware of their presence until it was too late. Massive networks of tunnels were constructed by both sides and provided some protection for sleeping, eating and medical care away from the carnage being reaped above. Deep mines were also sunk underneath the enemy’s lines and the shafts filled with tonnes of explosives to be detonated, usually prior to a major attack. The largest of these occurred along Messines Ridge on the 7th June 1917 when 19 massive mines were simultaneously detonated below the German trenches. At the time it was the largest man-made explosion in history and was even heard in London over 160 kilometres away – at least 10,000 German soldiers were killed instantly. The 1st Australian Tunnelling Company played a major role in the construction and detonation of these mines.